Enjoy marketing your unique gift, services and venue by working smarter, easier, simpler and cheaper with SA’s Small Business Marketing Coach! 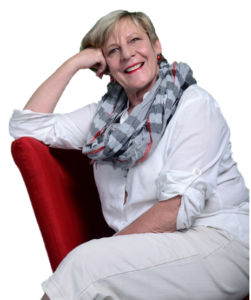 I am Suze Bouwer, Marketing Implementation Coach & Consultant, and I help start-ups, small business owners and managers by “SHOWING HOW” to put your business out there with less hassle, cost, failed attempts with “I have your back” hands-on coaching. You see “I Walk the Talk” because my unique coaching is based on a transfer of knowledge, that comes from more than 30 years’ marketing experience, added to which I continuously invest and never stop self-paced learning and mentoring by online marketing Gurus including Click and Grow Business, A Real Change & Sandi Krakowski, Facebook Guru – Nathan Latka, Jeff Walker and “Ask” Survey Method by Ryan Levesque. In addition to what I have learned, my Coaching Program is based on sound practices and proven systems that have been implemented, tried, tested and updated to provide small businesses with a strategy to compete using less time, money and effort; once they know how! After many years of marketing in the hospitality industry, working for corporate hotel groups in and around Southern Africa, and later going solo, I reached a stage when it became essential to embrace digital marketing or become extinct. I went ‘back to school’ to learn new ways of doing things and was stunned into paralysis when I was confronted with the plethora of information and advice out there. The truth is that I wasted far too much precious time working out what is good and what is not important. As a result that frustration, the tech, and the learning format, I developed a mentoring and coaching platform to help others, like me, AVOID similar, unnecessary barriers when starting out. My mission is to help you achieve a breakthrough that much quicker and easier. I have learned how and I do not only focus on showing clients WHAT marketing best practices to implement, but also HOW to do it in their workplace. No sending you off to go and muddle on along, wasting time and getting despondent. 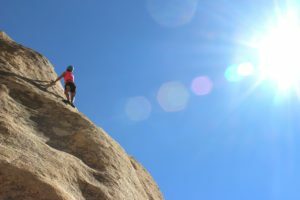 My clients grow in stature with skills development, both personally and professionally growth, opening them up to all sorts of new possibilities. Whether you are a marketer and need refreshing or a marketing newbie, tech savvy or technically challenged, work for yourself or planning to expand…as long as you have a dream, I want to help you live the reality! Welcome to our Tribe & choosing RedMatchstick to Ignite your Marketing Journey. I invite you to step up and LEAVE ORDINARY BEHIND! 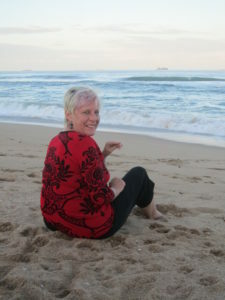 Suzette Bouwer returned to Zimbabwe after studying Psychology at the University of Cape Town in the late seventies. After a few years of searching for passion and finding my destiny in various fields including Human Resources, Commodity Trading, Import/Export; I joined Cresta Hotels as a Public Relations manager in 1988. Timing was great just as the Group was expanding into Botswana. I demonstrated a natural aptitude for marketing and was sponsored by my employer to study further at the Wits Business School leading to a role as head of the groups’ Marketing Planning for 14 hotels in the late 80’s and early 90’s. Anyone who traveled to Zimbabwe and Botswana in those days will attest to the fact the Cresta Hotels was a leader in providing great hospitality! After 9 years and a yearning to broaden my horizons, I took a bold step to moved back to Cape Town in 1995 to join a professional conference organizer and later joined Legacy Hotels and Resorts (then Stocks Hotels). I worked with remarkable hotels and Lodges in both South Africa and Namibia seeing the opening of iconic hotels like The Michelangelo in Sandton and The Commodore at the V&A Waterfront in Cape Town. This experience and love of the Southern African opened an incredible door … a year’s contract working for SADC Secretariat and GTZ at the 2000 World Expo in Hanover, Germany. Yet more regional knowledge was gleaned working closely with each of the SADC member states to present their attractions to the First World. On my return home, I joined Rani Africa to set up the marketing department for a Saudi owned company that planned a huge investment in the tourism sector in Mozambique, starting with the refurbished and opening of the luxurious Indigo Bay Island Resort on Bazaruto Island. In 2010 I opened my own marketing consultancy working for independent owners and with big pressure to achieve excellent return on investment with much smaller marketing budgets, I quickly realized the need to develop expert online marketing skills. I studied and studied with different mentors until I, myself started mentoring marketing mangers and small business owners in the hospitality and leisure industry in 2014. Since then, I have worked with a variety of different businesses proving that my approach to small business marketing helps any startup and small bsuiness. The Bead House, Hire Classic Cars, Dainfern Golf Club; Kloof Country Club, The Metropolitan Golf Club in Cape Town, The Club Management Association of Southern Africa, Randpark Golf Club (Best of Joburg 2015), Copperleaf -The Ernie Els Club, Ruimsig Country Club, Massinga Beach Lodge and Castelo do Mar in Mozambique, Johannesburg Boutique Collection, River Place; Meikles Hotel; Victoria Falls Steam Train; Lombardy Boutique Hotel; Marion on Nicol; Mutapa Caia Camp; Leopard Rock in Eastern Highlands of Zimbabwe. “Being the richest man in the graveyard doesn’t matter to me. Get Tips, Cheatsheets & More! "Do you know the difference?"